Mosambi Juice with basil seeds Recipe!! Healthy Drink!! 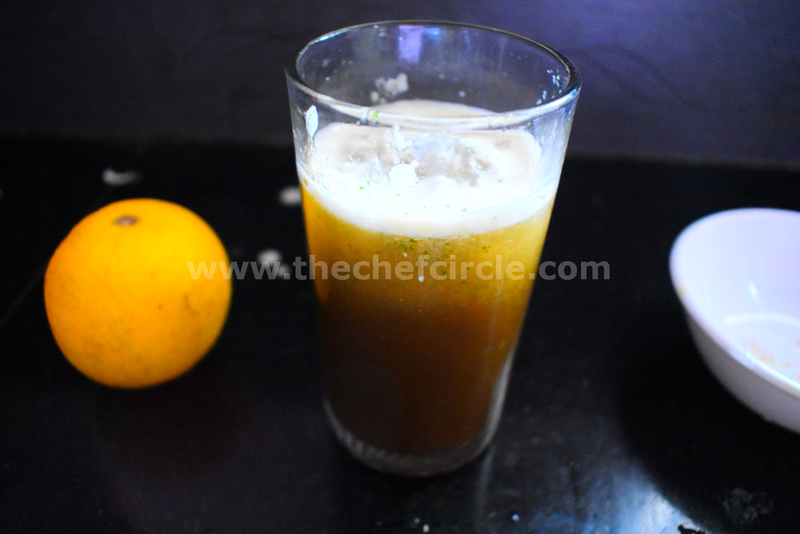 It is a healthy juice extracted from the Mosambi. 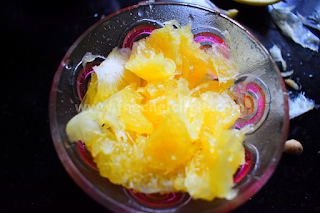 Mosambi is nothing but sweet lime. It can be used widely to make a juice. It has loads of health benefits. And it is the best for dehydration. You can go with this mosambi juice than for carbonated drinks. It is far better than any sorts of carbonated drinks. 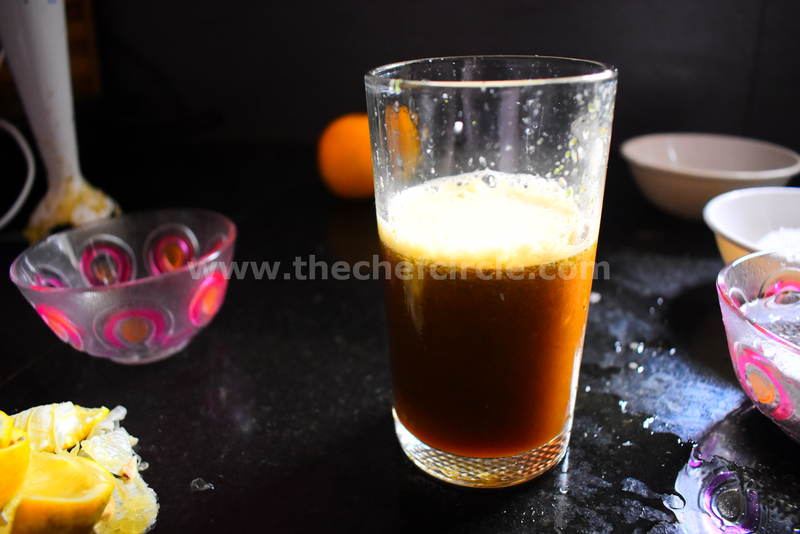 You can use brown sugar or honey to make this drink. Here I used brown sugar. This recipe can be done using mosambi, basil seeds, mint leaves, sugar (or) honey, ice cubes, and soda water. 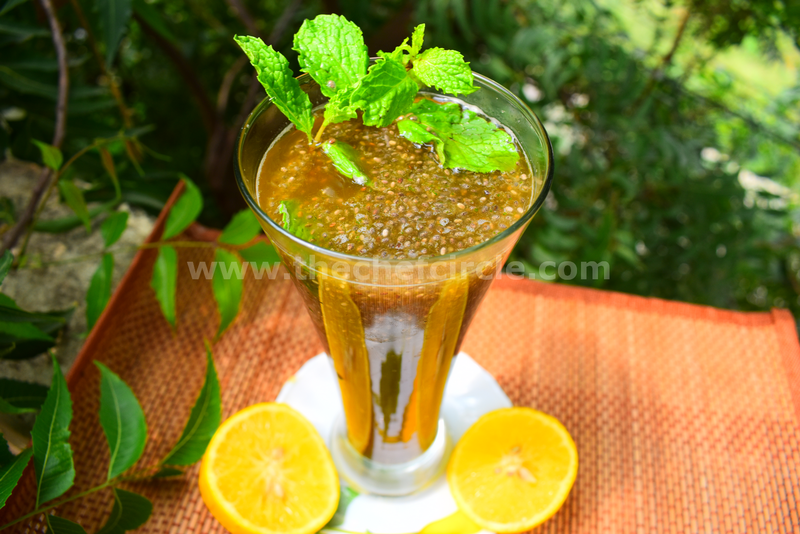 Take the pulp from the mosambi and blend it with mint leaves and sugar. 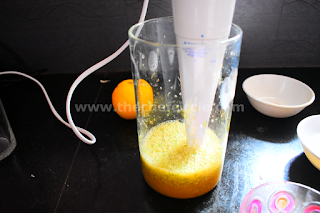 Then strain the juice using a strainer. Transfer it to the glass and add all the remaining ingredients. Mix well. 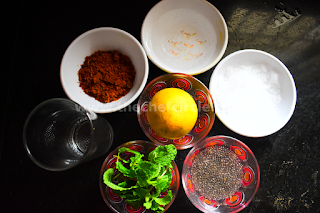 Then your mosambi juice with basil seeds will be ready. 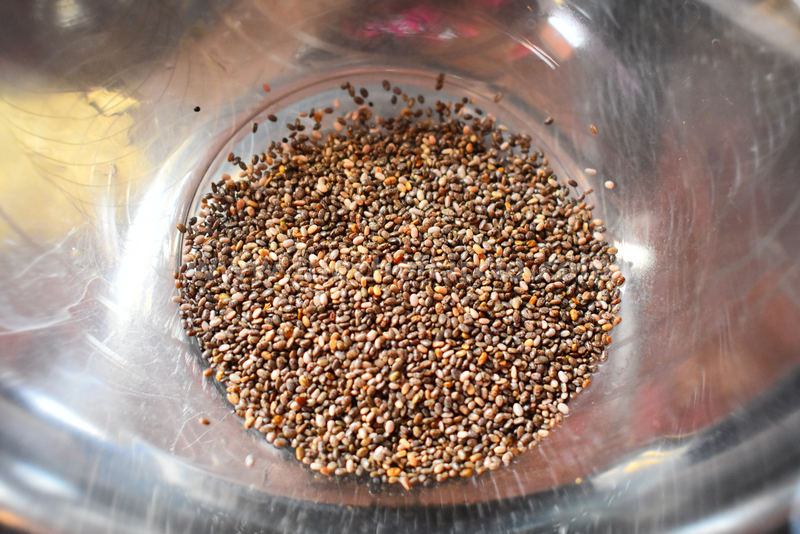 You have to soak the basil seeds for at least half an hour to 1 hour. 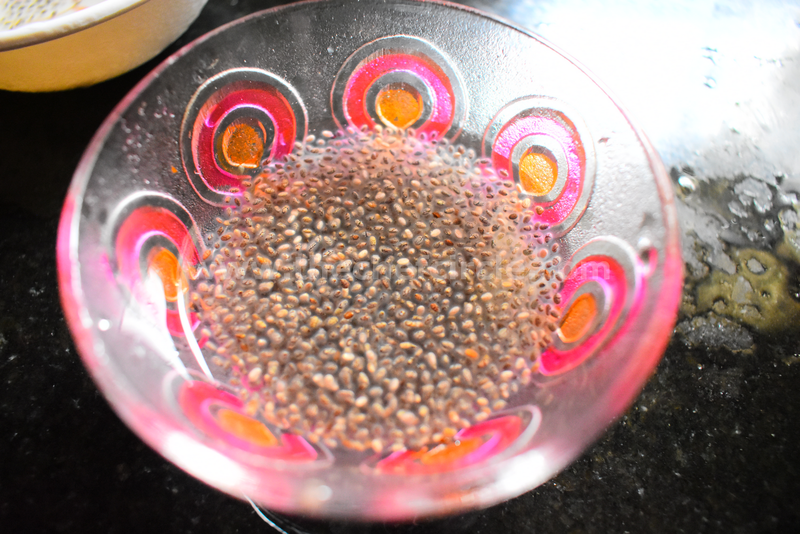 The basil seeds make your body temperature cool. Here I showed step by step procedure to make Mosambi Juice with basil seeds recipe with clear photos. Step 1: Wash and soak the basil seeds 30 minutes before you start to prepare the juice. Step 2: Peel the mosambi and remove the seeds inside it. 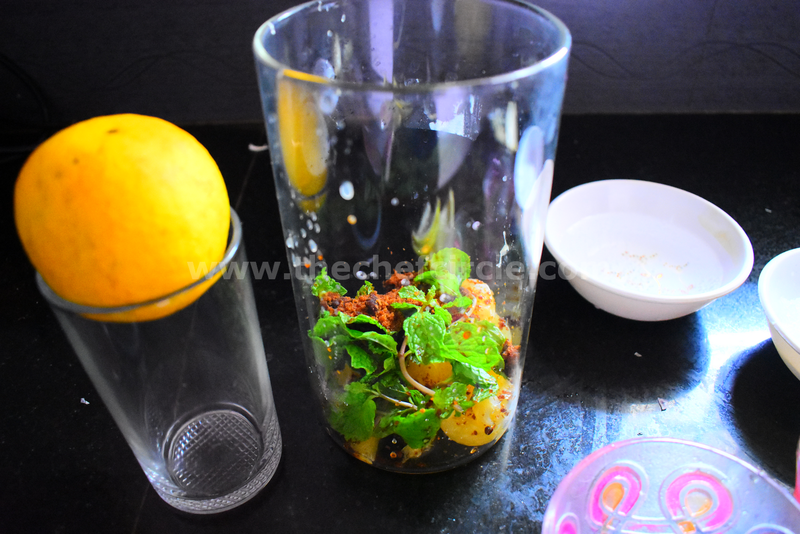 Step 3: In a blender add mosambi, mint leaves, sugar, and ice cubes. Blend it well. Step 4: Strain the juice with a strainer. And transfer to the glass. 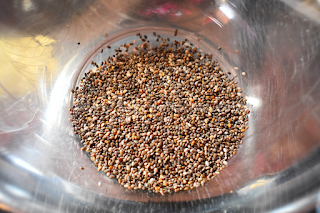 Step 5: Now add soda water and basil seeds. Mix well. 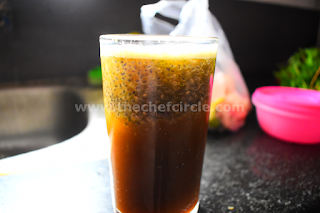 Mosambi juice with basil seeds is ready to drink. So tasty and chill. Try it at your home and stay chilled.